Lilly Pond in Rockport was an important source of ice. 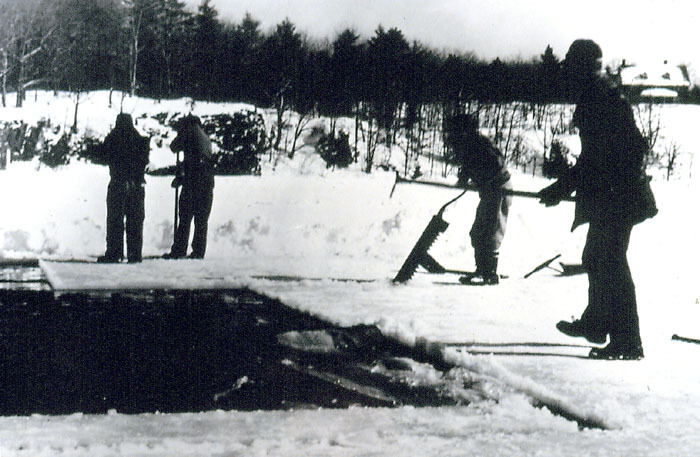 After scraping snow from the ice and letting the ice get to be about 18 inches thick, cutters sawed the ice into blocks. Another large source of ice was Lake Chickawaukee in Rockland.